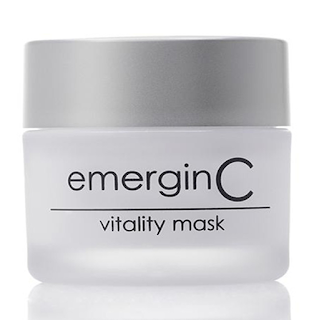 The emerginC vitality mask is a rich, buttery, creamy mask with coenzyme Q10 and alpha-lipoic acid. It is meant to soothe skin, hydrate it and nourish skin. This mask is meant for all skin types. It is especially good for red, sensitive, dry and tired skin. The mask helps to soothe, calm, hydrate, nourish and reduce redness in skin that is irritated, over-sensitive, very dry, dry or just needs some TLC. It adds vitality and radiance back to skin so that skin looks gorgeous and beautiful again. This mask is made for skin that needs to be pampered. For best results, use this mask one to three times a week. To use, apply and leave on for ten to fifteen minutes before removing with a warm wet cloth or you can massage it in and leave it on the skin. This mask is excellent after sun exposure and really helps to heal sunburn. Follow with your favorite emerginC serum and/or cream. My sixteen year old daughter has very sensitive skin and she found it very helpful for her skin, after using a cleanser that did not agree with her skin. The cleanser had left her skin raw and red. She used the vitality mask and voila! Her skin was not red, it was soft and smooth again. This mask did exactly what it was intended to do. She was very happy with it. I used it after a chemical peel one day, when my skin was a little too red. It helped to calm down my skin: the redness and irritation. I was extremely happy. This mask is like a wonder mask. It really helps to calm skin when it is under fire. I was very happy with how this mask performed. I would definitely recommend it for those with sensitive skins, but it is for all skin types. You can use it in any situation where your skin has gone wonky. It is a nice thing to have around it you do chemical peels and you have reactions, per se or you have times when your skin gets irritated and you need something to calm it. This is the perfect mask for that. And what is great is that you don't even need to wash it off, you can leave it on and let it keep soothing the skin for a while. 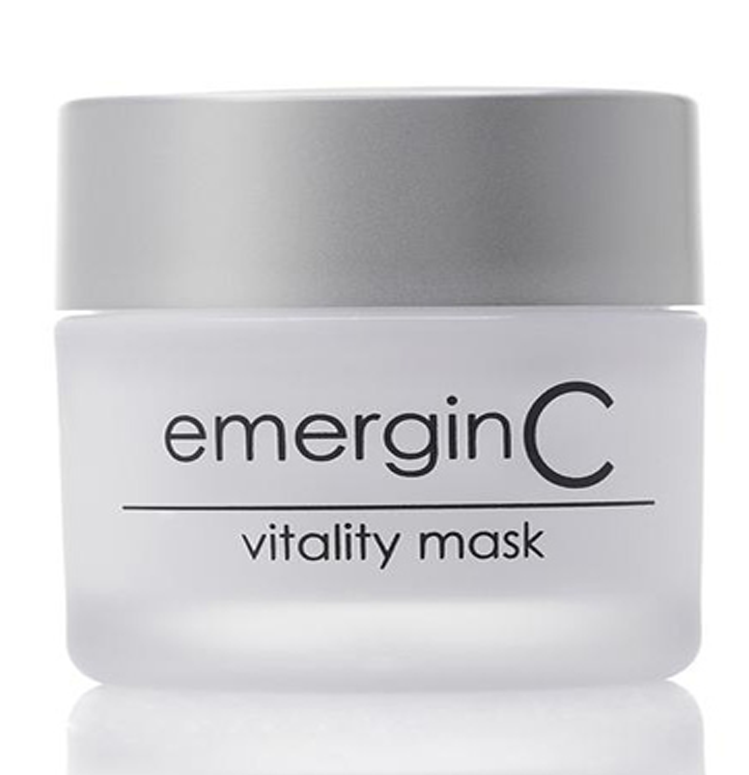 The emerginC vitality mask retails for $50.00 and can be purchased online at www.emerginc.com. Like emerginC on Facebook: https://www.facebook.com/emerginC; Follow emerginC on Twitter: @emerginC; Follow emerginC on Instagram: https://instagram.com/emerginC/ and Follow emerginC on Pintererst: https://www.pinterest.com/emerginC1234/. and can be purchased online at www.emerginc.com. Like emerginC on Facebook: https://www.facebook.com/emerginC; Follow emerginC on Twitter: @emerginC; Follow emerginC on Instagram: https://instagram.com/emerginC/ and Follow emerginC on Pinterest: https://www.pinterest.com/emerginC1234/.